Check out Tobi's Buckle Down Belt Set Buckle up for a wild ride with the Buckle Down Black & Taupe Belt Set. This set of two wide belts feature a solid color, faux leather, and a minimalist round buckle with beautiful engraving. 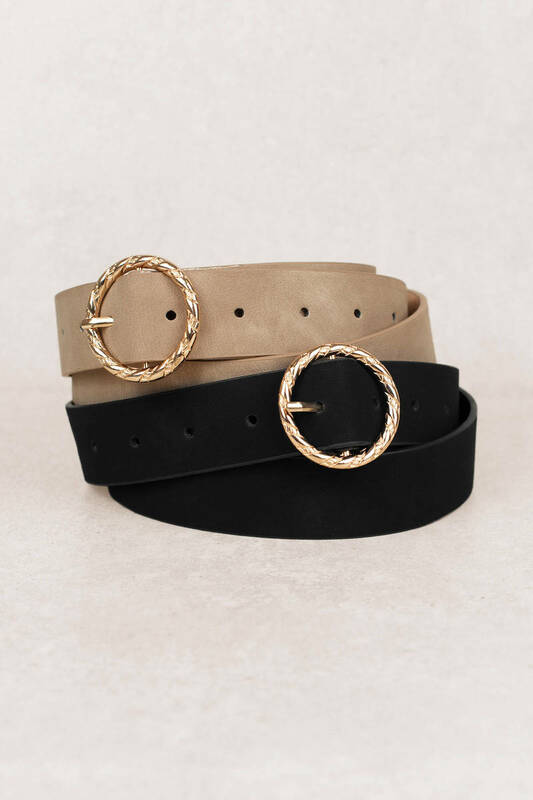 Cinch sundresses with these round buckle belts, or wear them with high waisted denim and a crop top. Buckle up for a wild ride with the Buckle Down Black & Taupe Belt Set. This set of two wide belts feature a solid color, faux leather, and a minimalist round buckle with beautiful engraving. 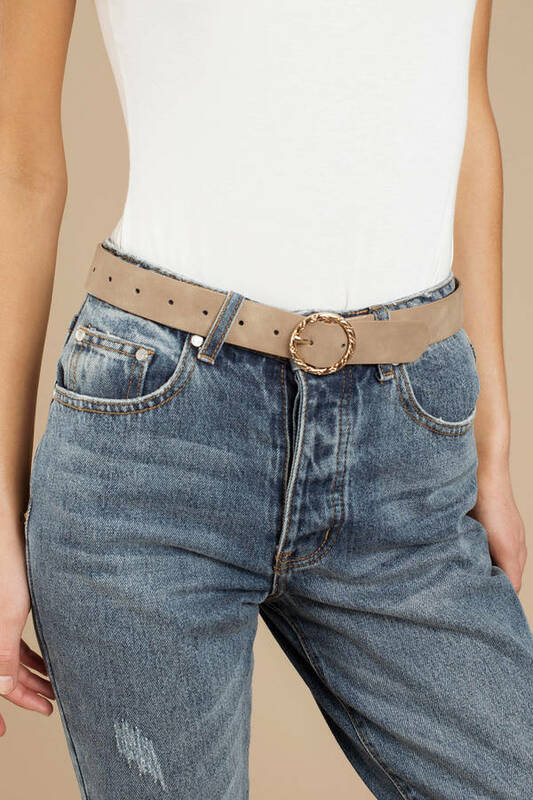 Cinch sundresses with these round buckle belts, or wear them with high waisted denim and a crop top.